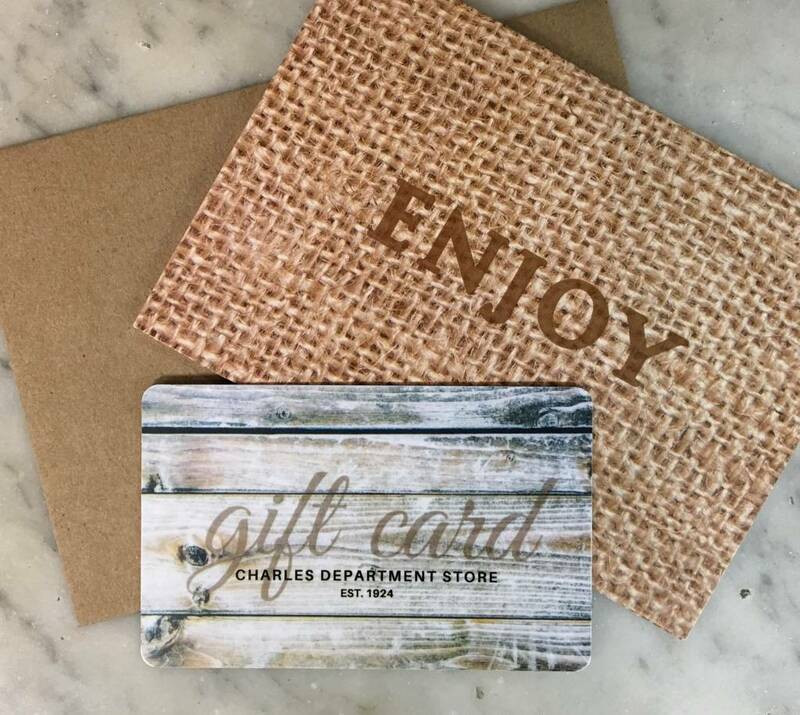 Charles Department Store Gift Cards are always the perfect gift! Redeemable in store only, our gift cards are available in denominations of $25.00 to $500.00. 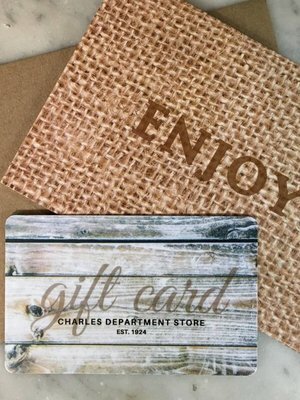 Select an amount, we will prepare it in an envelope and send it to you or the recipient.